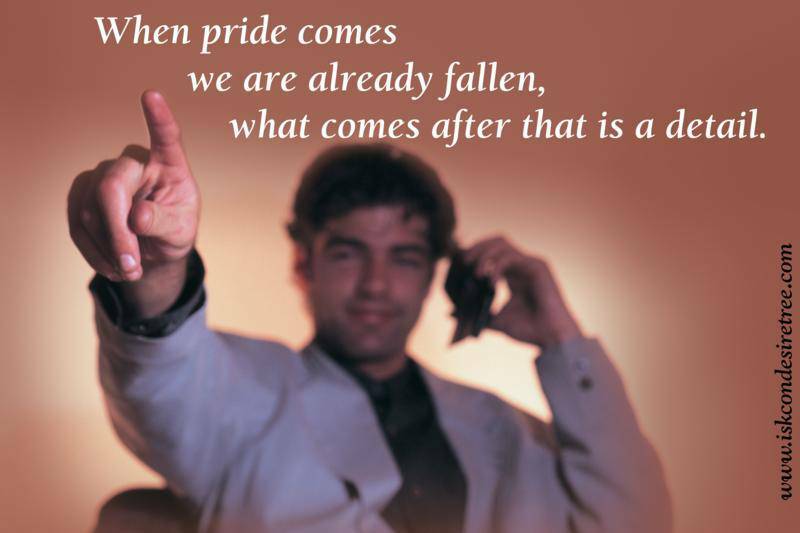 As soon as we think anything is ours, pride enters our heart. 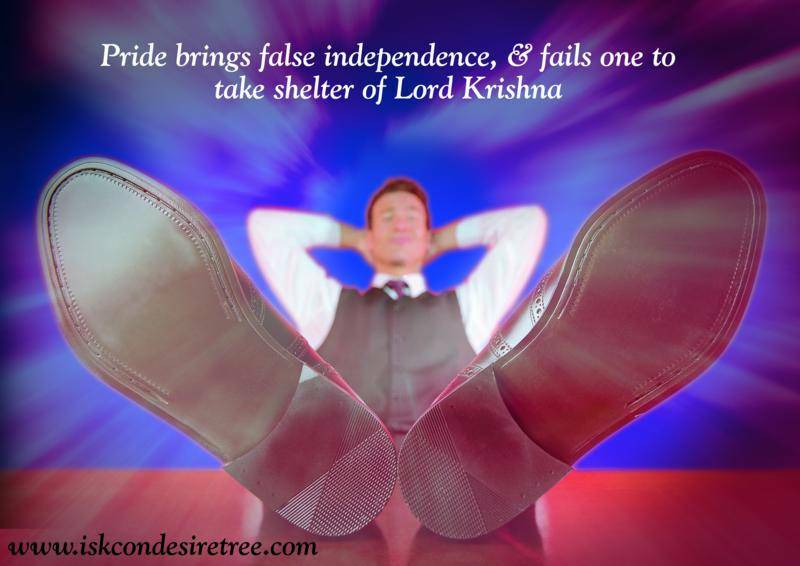 Pride brings false independence and fails one to take shelter of Lord Krishna. 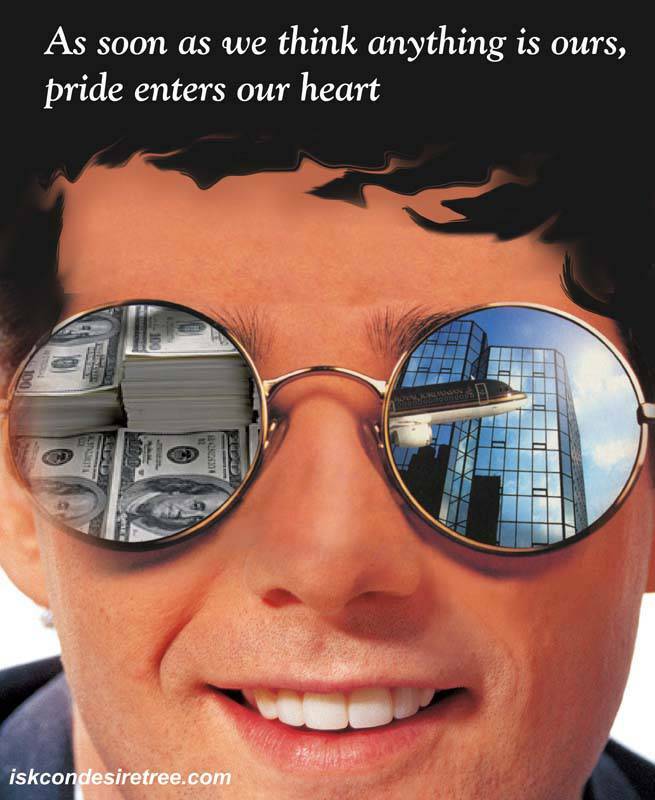 Pride is so deep, that even when we are sick, we are proud of it. We tell others about our sickness, to get their sympathy and attention. But Krishna’s devotees are humble. They never want any attention from others. They keep everyone’s attention on Krishna. 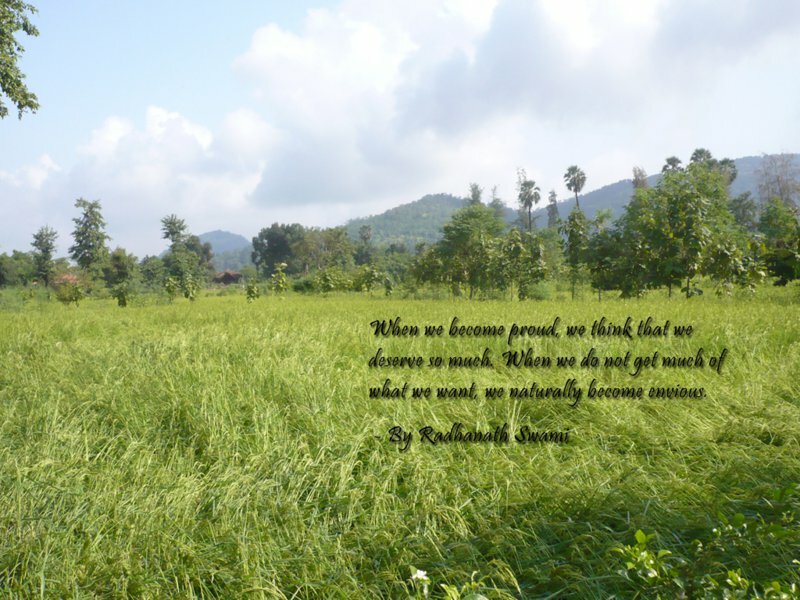 Pride is a weed in the field of intelligence. As love for Krishna increases, it removes the weeds of pride.